It was all about spinning this past week. My favorite wheel, Julia, is not feeling well. I've changed it's driver band and ball bearings...and still cannot make it spin like in good old days. So while Julia rested I worked with my Kromski wheel on spinning a beautiful Julie Spins' gradient. 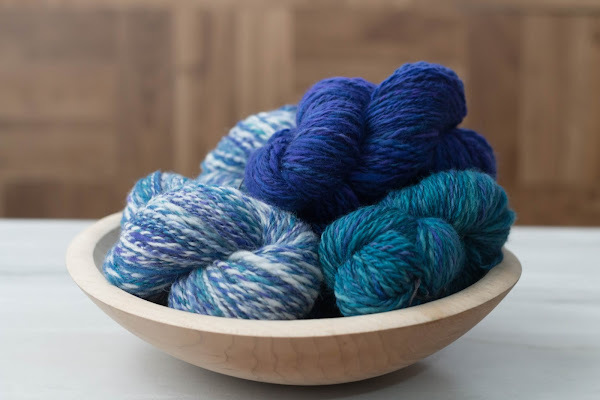 I separated the fibre and spun three different two ply yarns: blue, turquoise and both colors blended with some white Merino I had in stash. I am happy with the results and yardage. 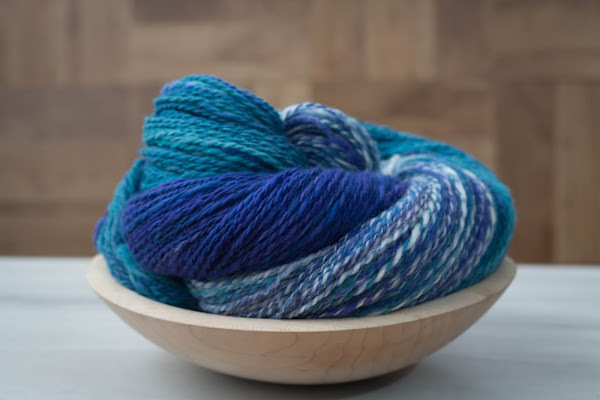 There should be enough yarn for a very blue shawl. 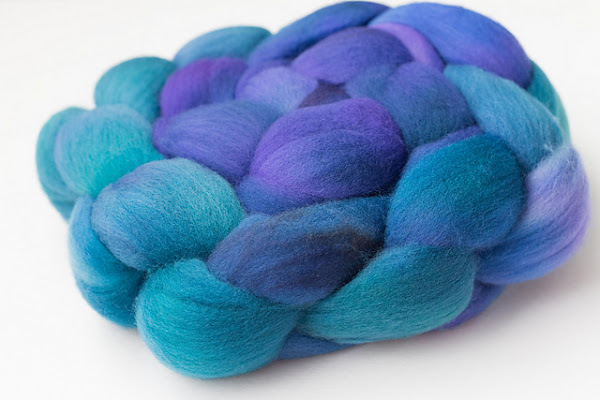 Your beautiful spinning always make me happy! You are so nice, And! Thanks for you comments and your weekly inspirational posts on your blog. I love the combo spin you did here! These are really beautiful. You're giving me some ideas for TDF 2017!!! Thanks, Nicky! Are you joining a team for TDF? Oh, these skeins are masterpieces!!! Really, really beautiful! Thanks so much for your comment Alina!